Instead of teaching your children to be critical, teach them to be critical thinkers. Those two phrases may sound similar, but they have two very different meanings. What is critical thinking? It’s learning to be open-minded to a situation, evaluating all of the information given and making good decisions based on that information. Children that are taught to be critical thinkers find alternate ways to look at a problem and explore different solutions to fix it. As these children grow older, they know how to analyze the information given and make good judgement calls independently of their parents. If you’re beginning to wonder what kind of thinker your child is, ask yourself, “do they believe everything they see or hear, or do they question things, and are they just able to spit back the facts, or can they compare and contrast them?” Although critical thinking skills don’t develop fully until adolescence, the foundations for them should begin in childhood. As a parent, you can help strengthen these skills by keeping their young minds active and challenged. Parents can encourage a lifetime of critical thinking with these five simple steps. The first step to encourage critical thinking in your kids is to urge your kids to open their minds to new and different reasoning. Whenever they are presented with a problem or a challenge, urge them to think of multiple and unique solutions. When they come up with the easy simple answer, then say, “let’s think of some other solutions.” Entertain all of their ideas even If they are silly or slightly bizarre. The more you listen and believe in their out-of-the-box thinking, the more confidence they will develop in their reasoning skills. And, the more they believe that critical thinking is fun, they more they will want to continue it. As your children practice decision making skills, be sure to ask them plenty of open-ended questions instead of yes-no questions. Instead of “do you think it will work?” ask them “how to you think it will work?” And, instead of “will you be happy with the outcome?” ask them, “what could be the possible consequences?” Then, ask more questions as they go through consequences for each solution, so they can compare and contrast possible outcomes and benefits of each option. Help your kids develop hypotheses about how things work and predict what might happen. Soon, they will begin to ask their own questions and make their own predictions about situations. Just like you need to practice for sports or music, kids need to practice good critical thinking skills. Make it fun and encourage it all year, not just during the school year, but on outings and summer vacation too. The more practice kids get, the more it leads to confidence in their decision-making skills. It’s natural for parents to want to jump in and solve problems for their children and it’s hard to see your kids struggle. But sometimes the struggle is what empowers them to learn. Let your kids know that it is alright for them to be confused and ask questions. Even when you want to intervene, pause and give them time to generate solutions on their own. Be patient and wait for them explore all options and also let them know it is okay for them to ask for further explanations when they don’t understand something. Explain what you can and then give them the time to let their creative problem-solving skills to kick into gear. 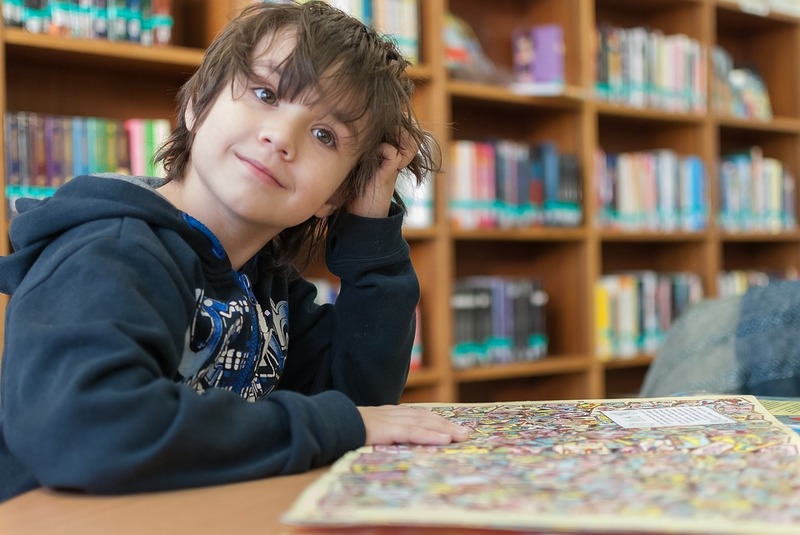 The Foundation for Critical Thinking has created a series of “Intellectual Standards,” to help elementary-aged children learn to think better. Parents should teach these standards to their kids, and then help them remember to use them. Urge your kids to BE CLEAR and ask for examples when they need further explanation. Encourage your kids to BE ACCURATE and research the facts before deciding if something is true. Invite your kids to BE RELEVANT by introducing them to other topics that are related to the current situation, and then link this information to the problem. Help them to BE LOGICAL by exploring how things fit together and whether or not their solutions will work. Finally, push for them to BE FAIR and to consider other people and their feelings as they make their decisions. The final step in encouraging critical thinking is to give your kids plenty of opportunities for them to play and learn how things work. Hands-on experiences in play and exploration will build a foundation for their thinking skills. Letting kids be inquisitive and test how things work through play teaches them action and reaction, cause and effect. Provide indoor and outdoor space and games so that they have a multitude of opportunities to grow their creative thinking skills. 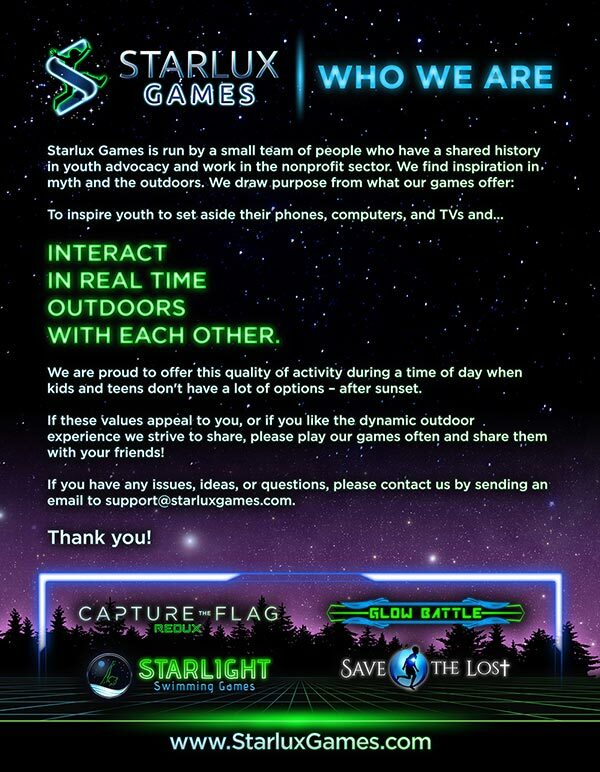 Outdoor activities like Starlux Games give kids of all ages the opportunity to practice their critical thinking skills. Their collection of group games offer the thrill of game strategy, but with the healthy benefits of being outside, active and socially interactive. CAPTURE THE FLAG REDUX is the classic game revolutionized for today’s generation using glow-in-the-dark LED lights. Players have to use strategy and skill to break teammates out of jail and find the glowing orb to win. GLOW BATTLE is a an active glow-in-the-dark battle game that also teaches critical thinking as players team up and take down their opponents with harmless glowing batons. Both are a fun way to exercise your brain and your body once the sun goes down. They are available at starluxgames.com. Games like these will help you build a strong open-minded foundation for your child that encourages them not to be critical of the world, but to think critically about the world.